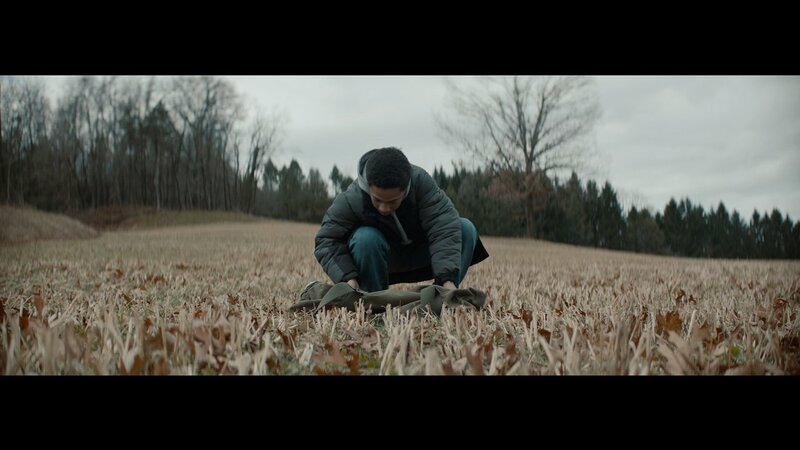 With a mysterious duffle bag in hand, a 12-year old boy takes us on an introspective journey out of the city and into the remote countryside of upstate New York. Often when the editors here at SotW discuss what it is that makes a film great, we often talk about how those truly great stories not only stick in your head for days/weeks/months afterwards, but also demand you talk about them and share them with others. Destined to be a short film I (and hopefully the rest of you) will be talking about long after that first viewing and a great example of subtle, but effective storytelling, Short of the Week is proud to present Jonathan & Josh Baker’s BAG MAN. Described on its website as an ‘understated story’, narratively, BAG MAN would have to be described as somewhat of a slow-burner. Following its protagonist ‘Boy’ as he makes an unexplained journey from the urban hustle of Harlem, to the quiet countryside outside the city, it’s about 8-minutes into the film before we discover the reason for his mysterious trip. The delivery of a story is often a big concern when it comes to picking shorts to feature on our site and pace is something we think about and talk about a lot in the world of online curation. For me, BAG MAN had enough intrigue and atmosphere to hold my attention for this extended opening and whether it was Judah Bellamy’s assured performance, or the simmering tone the filmmakers had set, my attention never wavered…I was hooked. By the time you reach the film’s rewarding conclusion, you completely understand the calculated pacing of its opening and any doubt you had about the film’s approach are eradicated by its clever change of pace and tone. When we write these articles for Short of the Week, there are films that demand explaining, films that need deconstructing. BAG MAN isn’t one of those films. Upon watching it, once you’ve reached the conclusion, you’ll instantly know what it is that makes it great and why we chose it to feature on our site. In fact, to reveal too much of the narrative would instantly destroy this short’s greatest asset…I feel like I’ve probably said too much already. If you haven’t already…just CLICK PLAY.